At Keen Dental Care in Columbia, MO, their caring team believes maintaining a beautiful smile should be easy and stress-free. When you visit this practice, the friendly dentists strive to make you feel comfortable and at home in the dental chair. 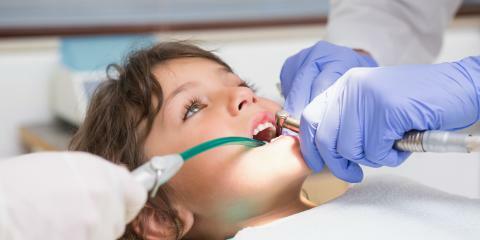 Whether it’s for a tooth extraction or routine teeth cleaning, some people dislike trips to the dentist. The experienced team at Keen Dental Care hopes to change that by offering consistently warm, personable service. They take the time to answer your questions, accommodate your needs, and alleviate any concerns you may have throughout your visit. By utilizing the latest in techniques and equipment, they ensure every procedure is as comfortable, quick, and simple as possible. Keen Dental Care offers a range of dental and orthodontic services including invisible braces, sedation dentistry, porcelain veneers, and TMJ therapy. Since the practice specializes in restorative, cosmetic, general, and orthodontic services, you never have to worry about being outsourced to another clinic; all the experts can serve you in one convenient place. They also offer athletic mouth wear and orthopedics designed for maximum comfort and protection. Whether you’re due for a root canal or would like to brighten your smile with a professional teeth whitening service, this team is prepared to care for every aspect of your smile. To learn more about maintaining strong, healthy teeth for life, consult Columbia’s top team of dentists and orthodontists. Call a helpful professional at Keen Dental Care today at (573) 875-5336 or visit the company’s website. You can also keep up with the practice on Facebook.